The Pacific Rim is located in British Columbia, Canada, in the southwest region of Vancouver Island. It is comprised of four main communities over a stretch of 140 km (80 mi). 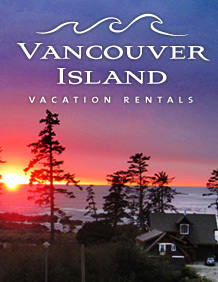 Port Alberni, Bamfield, Tofino and Ucluelet are some of the most western, remote communities on Vancouver Island. The Pacific Rim is well known for its dynamic parks and trails. The Pacific Rim National Park, an area of 511 square kilometers over land and ocean, is divided over three separate geographic units: Long Beach, the West Coast Trail and the Broken Group Islands. The West Coast Trail stretches from Bamfield, south to Port Renfrew and is one of the world’s premier hikes offering old growth rainforest, bogs and beaches. The trail is 75 km (47 mi) in length. Ucluelet in the Pacific Rim plays host to the Wild Pacific Trail, which is a seven phase trail system that runs along the shoreline of Vancouver Island’s west coast leading through old growth rainforests. This trail is divided into 5 sections: the Lighthouse Loop, Big Beach, Brown’s Beach the Artist Loops and the Rocky Bluffs. It overlooks Barkley Sound and the Broken Group Islands, and offers 8 scenic kilometers of trail total to enjoy. Tofino, thirty minutes north of Ucluelet possesses some of Canada’s most pristine trails and beaches. There is a lot of interplay between the trails and beaches, as most forested paths and hike find their ends at one of Tofino’s beautiful beaches!. Long Beach and Chesterman Beach are two of Tofino’s and Canada’s most popular beaches known for stunning scenery and year-round surfing. The Pacific Rim plays host to a wide array of wildlife including orcas, eagles and bears and has become an excellent location for wildlife observing. In the towns of Ucluelet and Tofino, there are numerous whale watching and wildlife tours that are available by kayak or charter boat. Clayoquot Sound, off the coast of Tofino, has become a bird watching haven as its ecosystem and habitat, coupled with protected mudflats, has become home to hundreds of rare and diverse bird species. Pacific Rim offers one of the best locations in the world for whale watching and you can see plenty of these humble ocean giants in their natural habitats. Gray whales, minke and humpback whales can be spotted throughout the Pacific Rim, along with the occasional pod of orca whales. An estimated 20,000 gray whales migrate past Vancouver Island from Mexico every year . On a whale watching tour in Tofino or Ucluelet, it is common to spot not only whales, but an assortment of other wildlife such as bears, bald eagles and sea otters. Fishing in the Pacific Rim is arguably the best in the world for quality salmon. 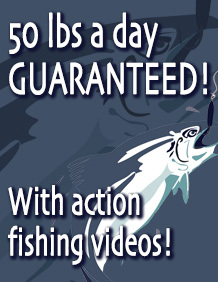 For this reason, there are many fishing charters throughout the Pacific Rim. Ucluelet boasts being a great location to catch the world’s most desirable salmon known as chinook or king salmon. Coho or silver salmon, sockeye and halibut are also in plenty off the west coast of Vancouver Island. The Pacific Rim plays host to many outdoor activities and is simply one of the most beautiful destinations in the world. Temperate old growth rainforests, rugged cliff coastlines and the vast Pacific Ocean combine to create a perfect, west coast paradise. Hiking, kayaking and surfing are enjoyed year-round by many. Hiking in the Pacific Rim offers challenging, rocky uphill terrain as well as simple, flat and short boardwalk trails. The views from the coast, mountains and forests are often coupled with sunrises and sunsets cutting through fogs that sometimes rise off the beaches. Kayaking in the Pacific Rim is a great recreational activity that provides some of the best views of Vancouver Island’s rugged beauty. Kayaks are available for rent in both Tofino and Ucluelet, and many of the wildlife and bird watching tours are done via kayak. Canada’s Surf Capital is also located in the Pacific Rim in the town of Tofino. Tofino has hosted numerous surfing competitions, such as the O’Neill Coldwater Classic in 2010. As the Surf Capital of Canada, Tofino is also home to many surfing schools. Cox Bay, a favourite go-to, offers one of the most consistent swells in all of North America, making it one of the world’s premier cold water surfing destinations. Storm watching in the Pacific Rim during the cold winter months draws people in from all over the world. The storms are created by a low pressure air system moving northbound into the Gulf of Alaska. Meanwhile in the zone between, the northern arctic air and subtropical air combine to create a frontal wave as the system begins to move in a south eastward direction toward the Pacific Rim. These powerful storms create massive waves that break along the Pacific Rim’s rugged west coast. The best time to see these storms are from November through March. The protection and conservation of many of the original First Nations territories has helped to preserve much of the area’s original culture. Many reservations are scattered throughout the Pacific Rim and totem poles and other First Nations art and influence can be seen throughout many of the trails. The rugged coastline, Pacific Ocean and old growth forests make the Pacific Rim a haven for wildlife and adventure. The Pacific Rim features hiking, kayaking, wildlife observing, fishing, surfing, storm watching and a variety of other outdoor activities making it an ideal location for beauty and adventure.